TRANSYLVANIA AUGUST 2011 | who's that knocking...? 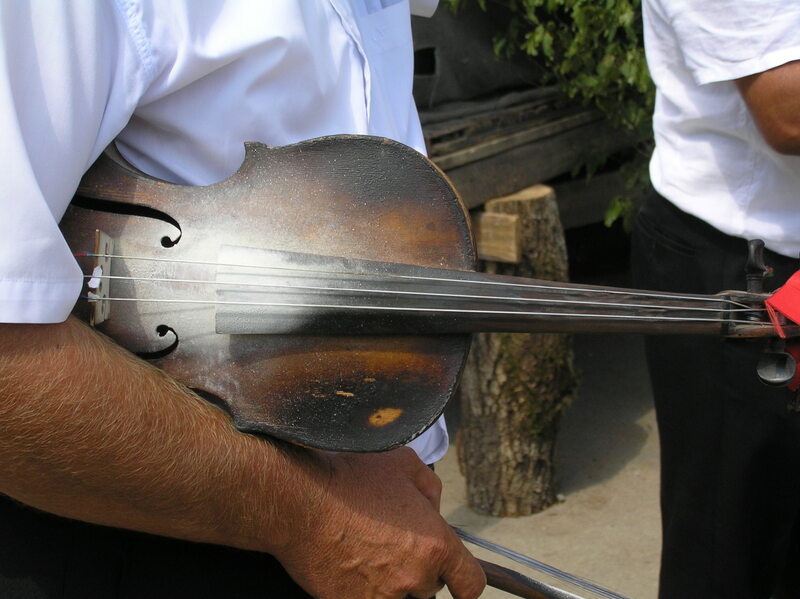 following a wish I had had for a few years, to hear Transylavanian music. I was very lucky to arrive at the village of Sic/Szek a day before a wedding, and be allowed to attend as a guest. In this quiet tucked away ethnic-Hungarian village, rites and structures have evolved slowly since its 13th c. salt mining days, despite going through huge upheavals. Their music (always functional: dance, rituals) seems a small part of a complex whole. Their ways of doing things survived Ceaucescu. The seductions of consumer society are eroding at their way of life much more effectively. The most startling thing for someone brought up in Western Europe, is the quality of the agriculture. Small scale subsistence farming is very much alive, and the signs of know-how are everywhere. Abundant looking small acreages of corn and vegetables, (organic by necessity: not much cash about to buy fertilizers and pesticides), full of wild flowers, and the generalized use of the scythe to tend to meadows give a colour, a vibrancy which I had never seen. The diversity of wild life is staggering. My trip had started in the old Saxon town of Sibiu (quite chic and beautiful), and ended with a couple of days in Cluj-Napoca and an evening in Targu Mures. This entry was posted in diary, music, pictures and tagged PALATCA, SZEK, TRANSYLVANIA, violin. Bookmark the permalink.